Looking for a way to take Game On! to the next level? Well you’ve come to the right place! You can have all of the video bumpers, countdowns, and exclusive media created for our VBS Preview events this past January. If you purchased a flash drive or Digital Pass at one of our Preview events, you’re set. You already have all of these goodies. But if you didn’t snag one then, there’s still time. 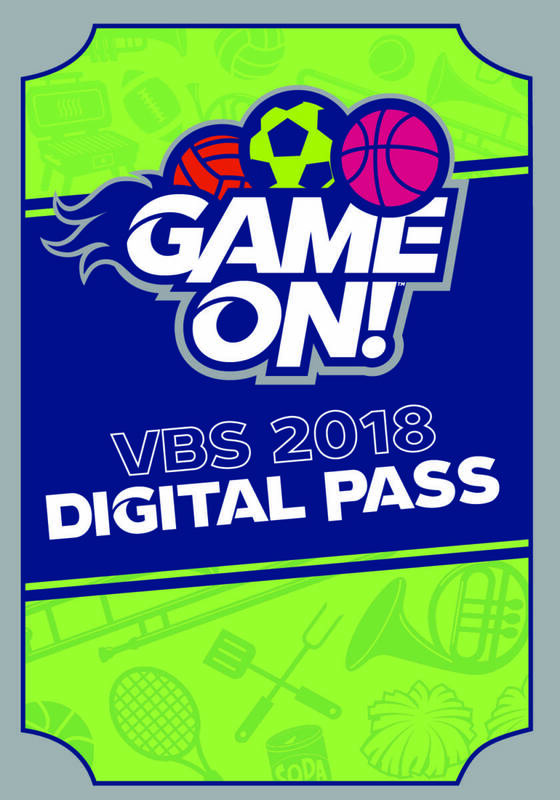 You can now get the VBS 2018 Digital Pass online! Now, even if you were unable to attend the event, you can view and download all of the exclusive content directly to your computer! 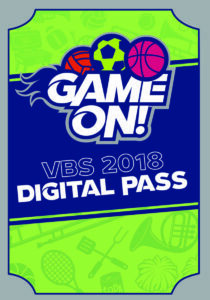 The VBS Digital Pass includes all the general session media (opening video, countdown timer, song bumpers) as well as the videos used during Worship Rally. There are decoration ideas and interviews with breakout leaders that give you great ideas, tips, and tricks to make VBS successful. It also includes a script for a Family Night Pep Rally that you can use in your VBS. What does the Game On Digital Pass have that the starter kits do not? If there options on the Digital Pass that are not available in the starter kits, how do I get a Digital Pass? If we’ve purchased full content curriculum and kits, it’s the digital pass included? If so, how do we access it? 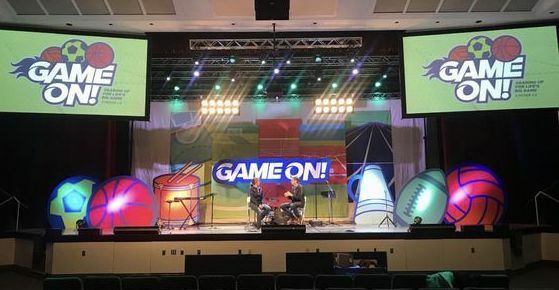 The Digital Pass is full of exclusive content from our national VBS Preview training events. It’s bonus content, separate from other VBS materials. Is the digital pass still available? Every time I click on the link, it tells me the page is not available? Also, how much is it? If there is a themed countdown timer available with the digital pass, then why not include it in the Worship Rally DVD set? It would really save me time. I hate to purchase one more thing to get all the stuff I need for the Worship Rally. Also, couldn’t the Worship Rally CD Set and DVD Set be combined into one product to save us some money? Why not include the song mp3s on the DVD-Rom? Thanks for the suggestions, Jeffrey! The contents of the digital pass were created exclusively for our VBS Preview events … they’re not things you can find anywhere else. But I will pass along your suggestion of including a countdown in the Worship Rally materials! Great idea! Combining the Worship Rally CD and DVD sets would work well if you’re only using the digital files, but many churches are still bound to using a DVD in a TV/DVD player combo and a CD in a CD player. The separation helps to minimize confusion about what can be played where. We’re always looking for suggestions on ways to make things easier to use though, so your insight is very valuable to us. Thank you! Good Morning, I would like to purchase a countdown for GAME ON VBS but, I would like to preview it before I purchase. Could you point me in the right direction please.